Since 2013, our organization has been developed as its best. 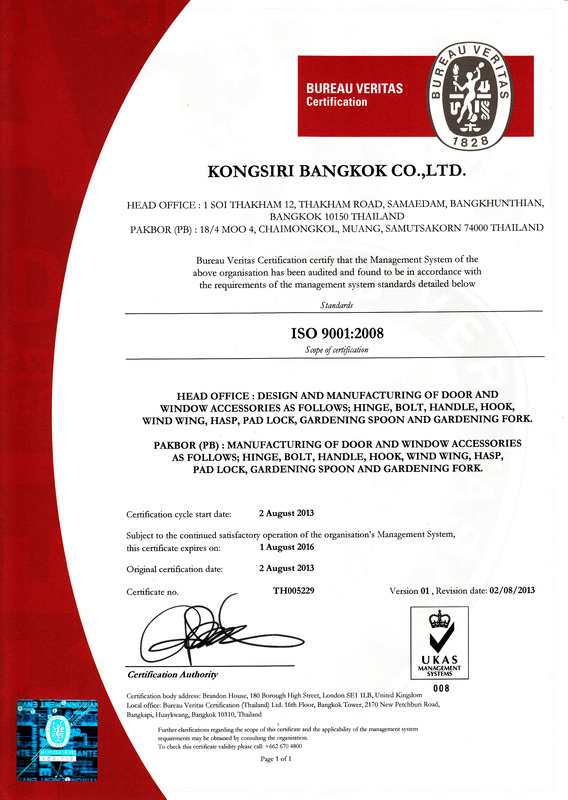 Eventually, Kongsiri Bangkok received ISO 9001:2008 certification from Bureau Veritus Certification (Thailand) Ltd. (BVC) in July 2013. 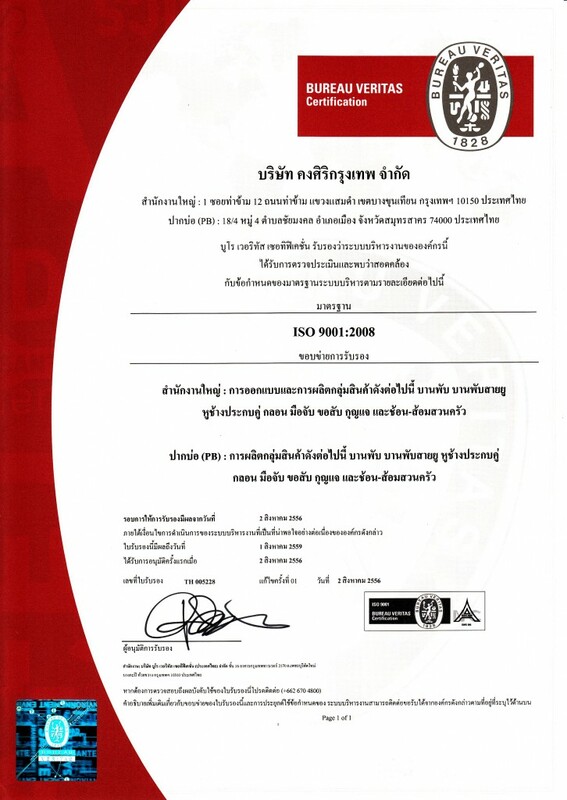 The ISO 9001 is an important tool which empowers the organization into global management standards and processes for continual and sustainable improvement. The creation, contribution, and determination of employees bring about our working process development and that results in solving possible managerial problem and preventing its recurrence.